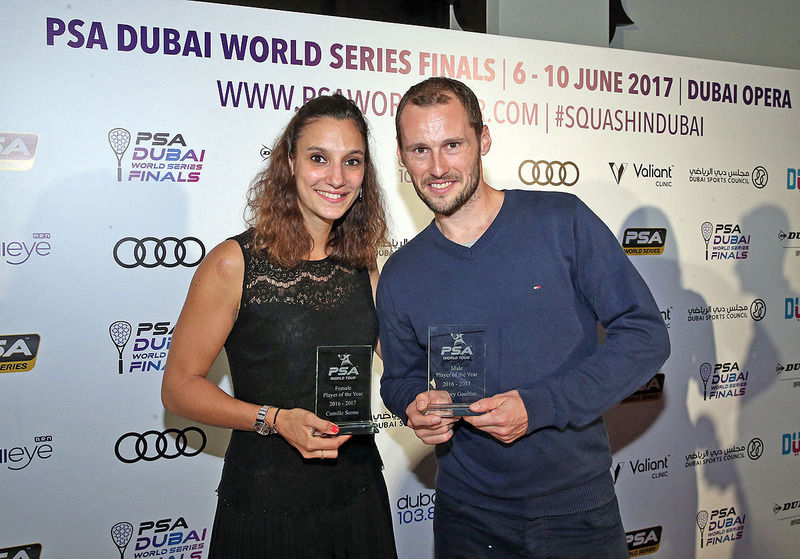 There was double delight for France at the 2016/17 PSA Awards as Men’s World No.1 Gregory Gaultier and Women’s World No.3 Camille Serme collected the Player of Year Awards during a gala dinner at the Vida Hotel, Dubai. 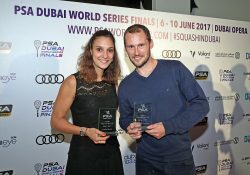 On the eve of the PSA Dubai World Series Finals, Gaultier, who begins the defence of his title today against Ali Farag, was presented with the Men’s trophy following a run of form that has seen him collect six consecutive titles and go 27 matches unbeaten so far in 2017. 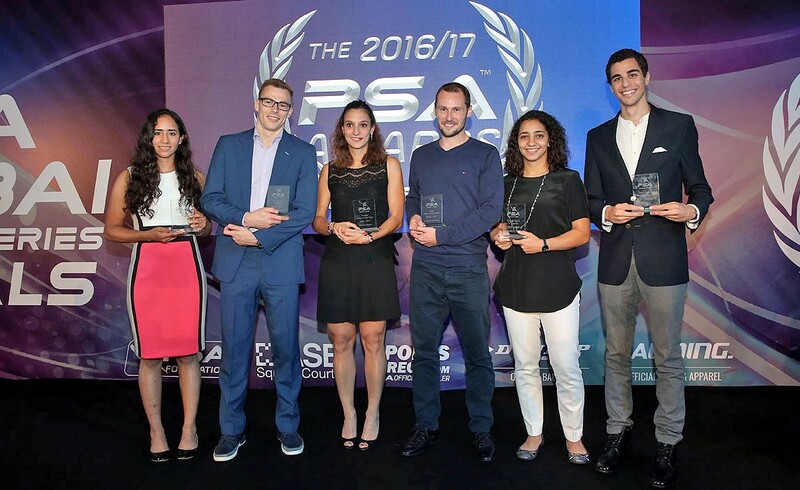 Gaultier narrowly edged Karim Abdel Gawad – the World Champion and former World No.1 – to the award which was chosen by the PSA Awards Committee, a group consisting of selected influential former players, members of the media, tournament promoters and PSA Board representatives and a social media vote. Serme was honoured with the Women’s Award after a breakthrough season saw her become the first Frenchwoman to win the U.S. Open and Tournament of Champions – making her the only Women’s player to win two World Series titles this season. 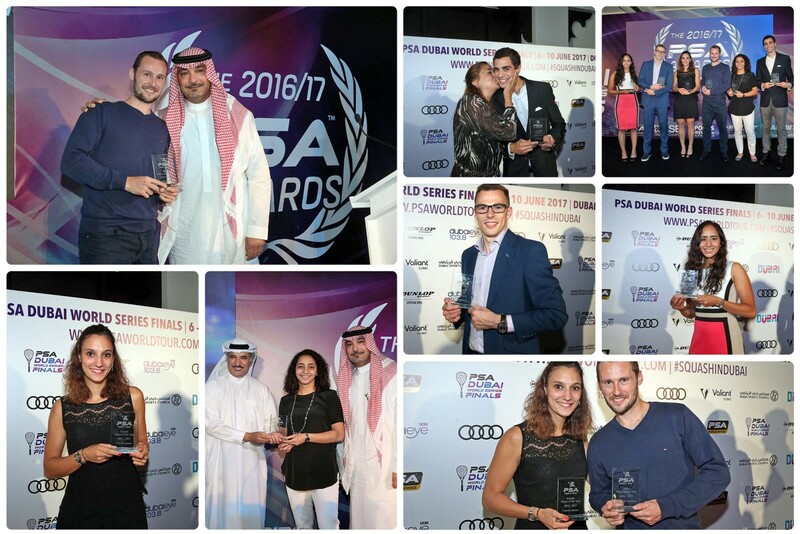 Gaultier also collected the Men’s Shot of the Season and Men’s Match of the Season awards while his opponent this evening, Ali Farag, collected the Male Spirit of Squash Award. Chosen by his fellow players, the prize goes to the player who best demonstrated sportsmanship throughout the season both on and off court. Compatriot Raneem El Welily collected the Women’s award. 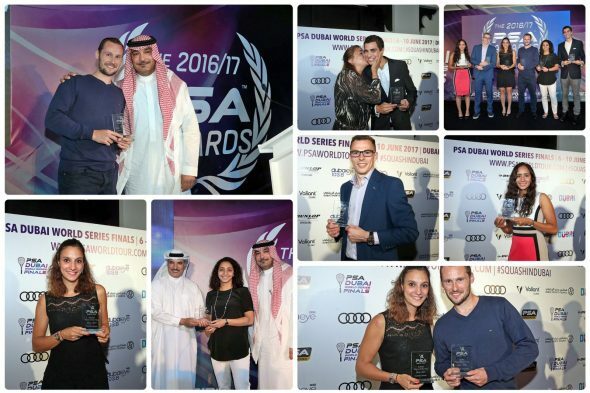 El Welily also picked up the Women’s Shot of the Season Award and was one half of the Women’s Match of the Season combination with England’s Sarah-Jane Perry while another Egyptian, Nouran Gohar, collected the Women’s Young Player of the Year Award for the second year running. 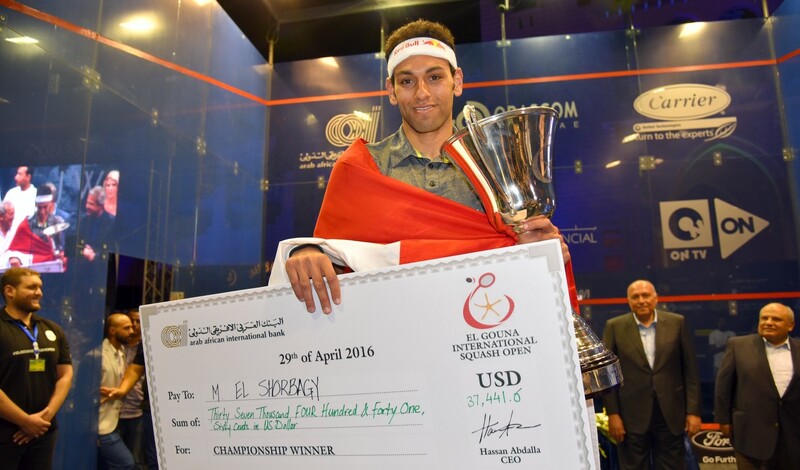 Peruvian Diego Elias, the former World Junior Champion, was named Men’s Young Player of the Year. 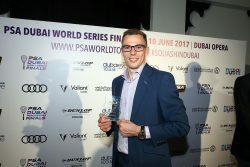 The final prize of the evening went to England’s Nick Matthew who was presented with the PSA Services To Squash Award in recognition of his contribution to the sport during the past twelve months. 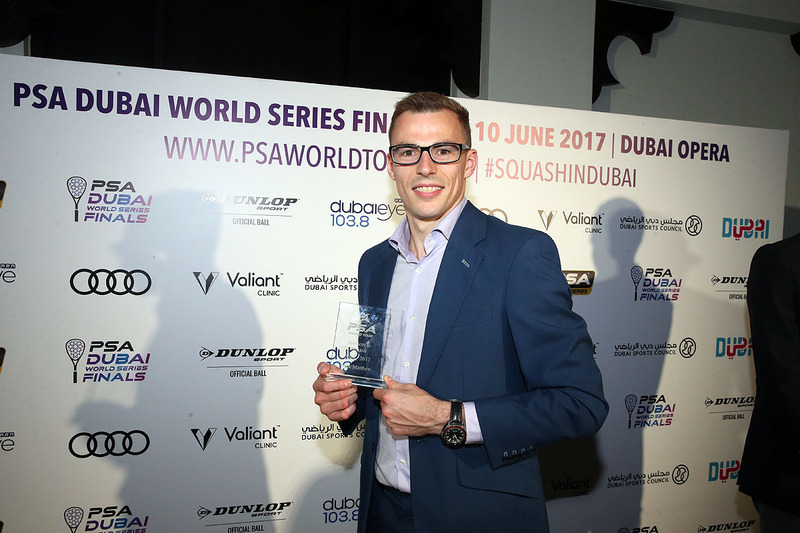 The year saw the Yorkshireman, amongst other community initiatives, donate his prize money from the Canary Wharf Classic to aid young squash player Sumner Malik in his battle with cancer.